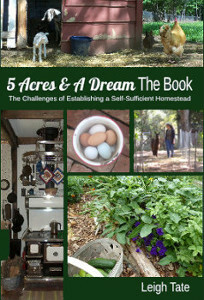 It's been awhile since I've done an "Around The Homestead" post. The last one was in February. 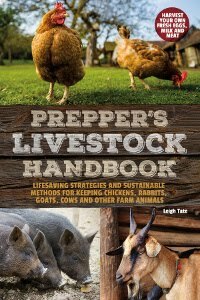 These are bullet posts of random updates, follow-ups, comments, and observations of various doings and goings on around the homestead. Seems most of my updates these days turn in to full blown posts, but I do have a few odds and ends to report on. Thank you Eliza Faith & Sharon! 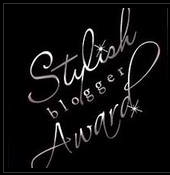 Stylish Blogger Award. Ordinarily, this would deserve a post of it's own. I'm considering it an update however, because I won it awhile back, but am honored that both Eliza Faith of Girls PWN, and Sharon, of Quilting the Farm, both have awarded it to me recently. I want to give you each a heartfelt thanks. The rules for this award say the recipient is to tell you 7 things about themselves that you might not know, and then to pass this award along to someone who deserves it. Rather than think up seven new things, I'm going to take the lazy way out and refer you to my original post, here. There are a few blogs I'd like to pass it on to. These are new for me, discovered while responding to comments. They are excellent blogs, but as far as I can tell, don't have a huge readership. I hope ya'll will go and visit. Fort William. Dan made a little more progress on Fort William! The "awning" is actually a window cover as well. It's hinged to be propped open in the summer to allow cooling breezes in, but can be closed in winter to protect from driving rains and bitter winds. Riley on fence post, washing a paw. Fox Sighting. While Dan was building on the bucks' shed, Riley would hang around to keep him company and patrol the woods behind Ft. William. One day while Dan was working on the roof, Riley took off like a bullet. Dan could see him chase something with a bushy red tail, and then heard all manner of caterwauling. Cat fight. A few days later, our neighbor told him he saw a fox run across the street and on to our property. Dan realized it wasn't another cat he saw, but that fox. Thankfully Riley came out without a scratch. We haven't seen any trace of the fox since, but knowing they kill chickens, we're on the alert. HVAC. I'm going to include this as an update because after going through last summer without air conditioning, I am very thankful to have it this summer. Our typical summer temperatures are in the 90s and it's not uncommon to top 100 on occasion. Heat builds up in the house, and add to that the heat and humidity from canning, it was not fun. We try to use the AC sparingly, and I've worked out a system where I keep the thermostat set at 78 to 80, depending upon the humidity. We shut it off at night, and in the morning, the outside temp is usually in the high 60s or low 70s. I open the doors and windows until outside and inside temperatures are the same. I close everything up, and it stays that way for the rest of the day. The ouse stays fairly cool till mid-afternoon. When the house temp reaches the thermostat setting, I turn on the AC. If we think we need more, we turn on fans. I'm sure our house would feel warm to some, but we're okay with that. Weeds. Like most gardeners, I seem to grow more of these than I want. 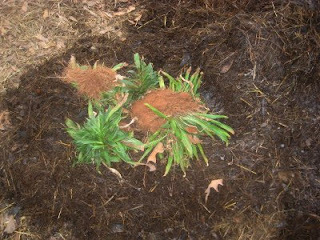 Now that I've learned something about which weeds are dynamic accumulators, I've started pulling and adding selected ones to my compost, especially plantain, which is a calcium accumulator. Amazingly they decompose pretty fast and I'm hoping in the long run to increase our soil calcium. 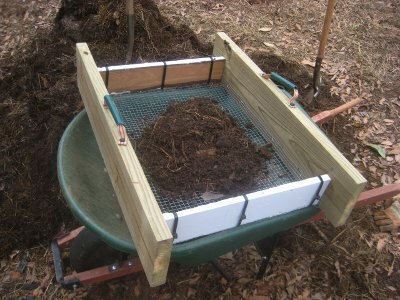 ... Dan made me a compost sifter from materials we had lying around. I'm very pleased with it. Sourdough starter. After managing to keep my sourdough starter alive for over a year, I lost it. It died the death of neglect. In a way this is surprising because I used it so often! I used it to replace any liquid called for in a baked good recipe. It worked beautifully with baking soda and my cakes, pancakes, muffins, etc., were always light and fluffy. I haven't started another one though, because lately I've been using whey in everything from quick breads to yeast breads. Whey works well, is always available, adds nutrition, and never needs to be fed. I do have some good recipes for sourdough though, so I'll be making another starter someday soon. Jasmine. The hardness in her udder is almost completely gone, shrunk to the size of a small lemon. In fact, she's looking extremely lopsided these days. I'm actually beginning to wonder if she really did have mastitis. I'm wondering if the problem isn't actually "congested udder." To diagnose properly for mastitis, the milk should be tested. She never produced milk on that side, so I'll never know. Rooster Wars: There are two more roosters in the neighborhood. We know because we can hear them in the distance. One sounds like a Bantam, (such a cute little crow), the other I've dubbed "The Ghost Rooster." I call him that because by the time the sound waves get here, his crow is eerily ghost-like, but in a comical sort of way. The Ghost Rooster absolutely never stops crowing. Our neighbor across the street told Dan it's driving him crazy. Fortunately Lord B (who also crows quite a bit) doesn't bother them, I reckon because of the way sound travels. Initially Lord B got into some acoustic sparring with the Ghost Rooster, but apparently has figured out that no challenger is going to try to usurp his position. Lord B does do his share of crowing, and now with the three, I worry that someone will complain to the "authorities." We're outside town limits, but just barely. We'd hate to get into real rooster, or chicken wars with someone over our right to keep chickens. As our economic situation and food supply become increasingly uncertain, it's not surprising others are starting to keep chickens. And as much as I don't like the feeling of being on display to passersby every time I work in the garden, I can only hope that perhaps they're looking at us and thinking, "Hey, we could do that too." I really want a goat barn like yours! We have a bunch of downed pine trees at the cabin (storms and PG&E)...I do believe instead of turning them into firewood (which we don't need...don't forget the 800 downed almond trees) I'll have my brother load them up and bring them down here to the ranch...I have saved the pictures of your barn so *the boys* won't have any excuses!!! Thanks for the updates...you have been busy! Also, thanks to this post I officially have barn envy! Fort William is amazing....Stylish & serviceable....can't beat that combo! Our rooster goes back and forth with the one up the road. They don't do it all of the time but it seems when they start, both want to have the last crow. haha. Oh you must be in heaven with that AC! With predictions of longer hotter summers I know you'll appreciate it over the long haul. Congratulations on your award!! Really enjoyed this post. You have so many neat things going on!! I put up light blocking curtains to help keep the upstairs cooler too. You are a true pioneer of today! Don't blame you for keeping that thermostat modest. With all the hard work you do, sometimes ya gotta give to the creature comforts. Good job, Leigh! Lynda, Dan just can't stand to see resources go to waste, and we seems to lose another pine tree every time a big storm or wind passes through. The biggest problem is dragging the up and out of the woods. Sherri, we've had that happen too. It seems to be serious business for a rooster! Theresa I admit I'm really thankful for it, but also that I'm still hot and sticky most of the time. It also helps keep mildew down in the house. I can't imagine how the early Americans lived in the south without it! Renee, light blocking curtains is an excellent idea. We're fortunate to have trees on the sun rising side of the house. It's the sun setting side that is the problem, though blocking the light and heat as much as possible really helps. Interesting information on plantain and calcium, I will have to read up on that some more. I have always enjoyed the sound of roosters crowing of in the distance. Ha ha ha!....Fort William made my day Leigh! Way to go Dan!...so awesome! Ditto what Crystal said - I gave a squeal too! Thanks so much for linking to my little world. So glad I discovered yours! Mr H, thanks for the link on plantain! Very useful. Jane over <a href="http://hardworkhomestead.blogspot.com/2011/05/plantain.html>Hardwork Homestead</a> did a post on plaintain not too long ago, and made me think I should include this tidbit in this post. I also really do need to make a salve of it. Pam thanks. The other day two guys road by on a motor scooter and one of them pointed it out to the other. People definitely seem to like it! Gosh Donna, thanks! I confess the information is as much for me as anyone else who might be interested. A blog is a great way to keep track of links! Marissa, I'm so glad you're pleased. I've absolutely been enjoying your world as well. Congratulations on winning the award! And thank you for bestowing it on me - that was a completely unexpected surprise!! I will work hard to make you proud :-) I think you are doing a wonderful job - you have WAY more going on over there than we do here...you are truly an inspiration to us all! Way to go Riley!!! Not only will he keep the place vermin free, but fox free as well! I love your fort for the goats. It's a nice, manly place to hang out. Congratulations on the award. I sure did enjoy reading this post. Thanks for keeping us up to date on the things going on around "the farm". BRF, thank you and you're welcome! Barb, thanks! I always appreciate your visits and your encouraging comments. Leigh: Thanks so much for the award! It means alot coming from such an accomplished blogger. My guard chickens thank you too.